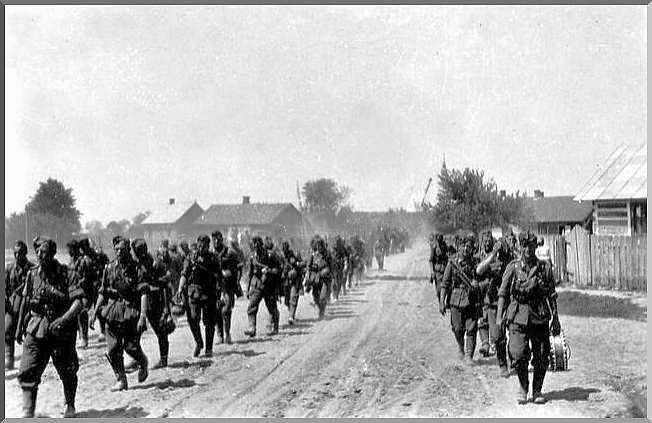 There are many images of the Russian Front which were not taken by the official Nazi propaganda machine. 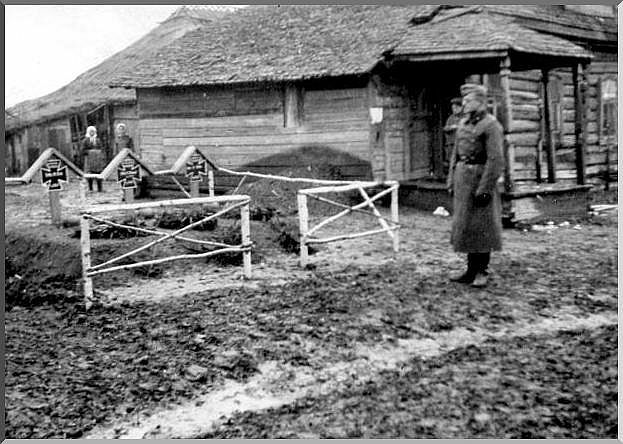 Present are some pics taken by the German soldiers on the field. They tell their own story. 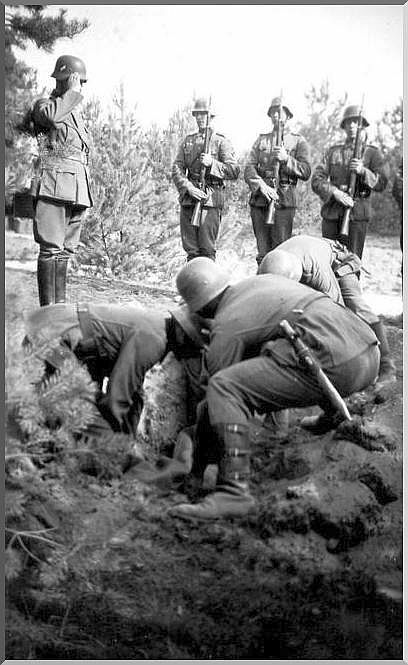 Burying a departed comrade. 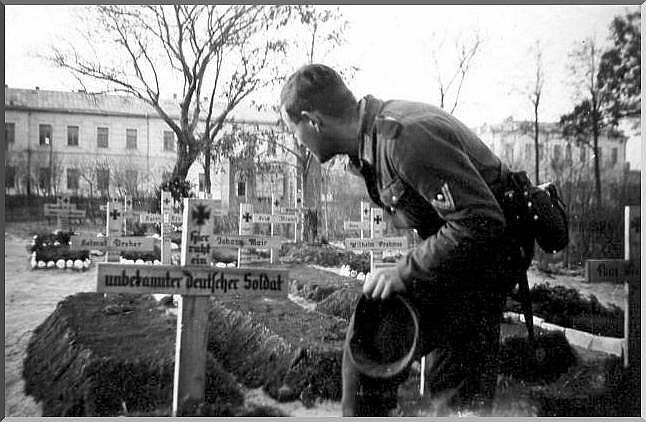 German soldiers in Russia lower a dead soldier into his grave. 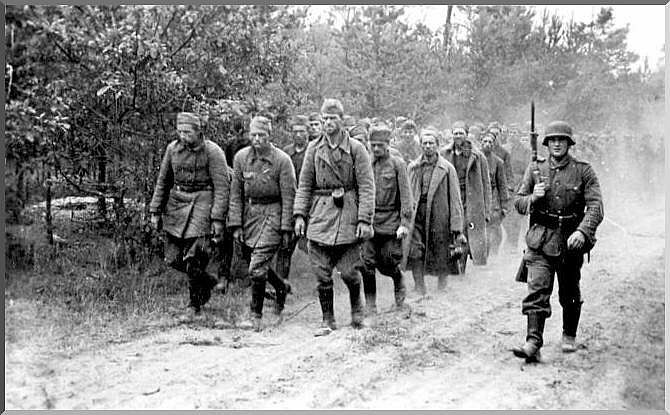 Captured Soviet soldiers walk with a beady-eyed German guarding them. Last farewell to his friend. 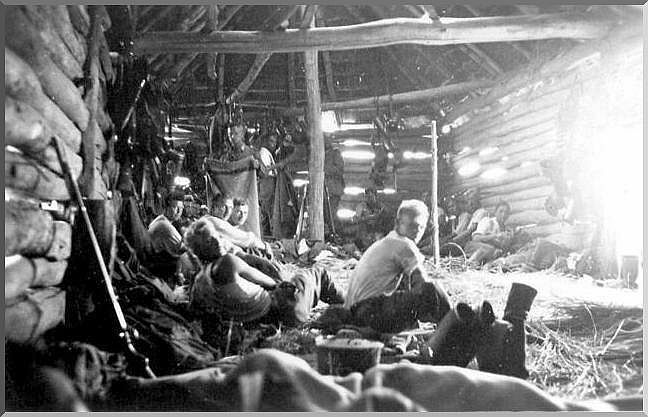 Calling it a night in a shed in Russia. 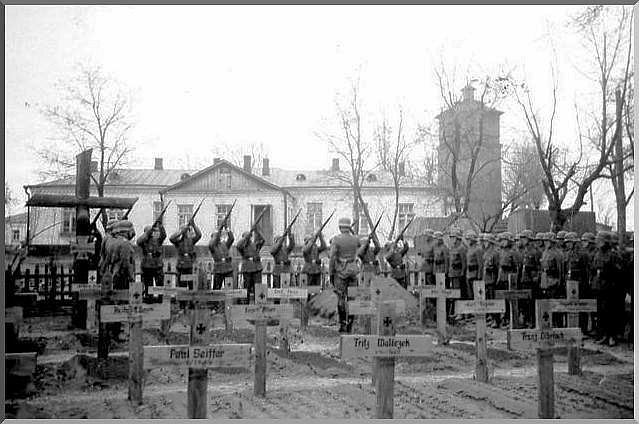 These German soldiers lie in rest in a foreign land.